There are two ways to work out how ready your organisation is to make the shift to cloud-based consumption services. Do it yourself or hire a consultant. We look at the key benefits of each, and tell you what to watch out for. It helps companies consider all dimensions of maturity as they relate to cloud computing – treating cloud as not just a technology, but rather a change in business model that impacts business process, governance, finance, business and human resources. Generally large companies are more mature than smaller organisations when it comes to IT. They’re more likely to have governance committees and policies on BYOT and security. However, they’re less likely than their smaller peers to be adopting the cloud-based consumption models which would give them a competitive advantage. Unlike many smaller companies, larger organisations are still figuring out if they’re ready to embrace the cloud. But before an organisation can determine if it’s ready, it must first understand where it sits now on the IT maturity scale. 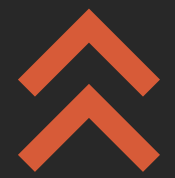 An IT maturity assessment is the logical place to start, as it’s designed to benchmark your current IT capabilities against a commonly-applied scale. It shows the path and the steps to maturity by helping to identify areas of strength, expose gaps and chart an actionable improvement plan. A self-assessment is a good place to start to get an holistic view. It will help identify areas such as the inclusion of standardisation and supporting infrastructure, resourcing, change process and governance; all of which are vital to success. It can be used to assess an organisation’s level of maturity against a particular dimension of its business. For example, the IT team may want to embrace cloud computing but the HR department may not be across the implications and how a shift to the cloud might affect people’s roles in the organisation. The building blocks to assess maturity should mostly be in the questionnaire, and should include the often overlooked “need to align with the business strategy”. The self-assessment model developed by Voco (using the maturity lens outlined here) is a good first step for those wanting a simple view of where they sit on the maturity scale. However, whilst the maturity model self-assessment is a helpful exercise, it cannot stand independently. In reality, it is more a starting point, and often just highlights the areas that are lacking. It would be a more powerful tool if it clearly linked the pieces into a path that shows the desired progression. Most large consultancies do use maturity assessments as part of their standard go-to-market offerings. There are two main approaches taken by independent partners to help assess readiness for IT transformation projects. Unfortunately, many maturity model assessments are sold to the CIO by experts that actually never end up doing the work. Often work is undertaken by entry-level people without strong IT and domain credentials using multiple spreadsheets and taking a ‘box ticking’, cookie cutter approach. It’s not customised or tailored to the individual organisation and might not give any more insight than a self- assessment. In fact, what most receive is a very long report containing big buzz words, costing an excessive amount, and oftentimes giving good general practices to raise maturity, but not really providing the targeted steps required to get to the next level. The second approach is more hands-on, conducted by expert people from enterprise IT or finance backgrounds, and drawing on the experience of many years and proven success. It helps companies consider all dimensions of maturity as they relate to cloud computing – treating cloud as not just a technology, but rather a change in business model that impacts business process, governance, finance, business and human resources. This assessment involves interviews with customers of IT services from each capability area and covers other external reports which form part of the assessment. The final report is also validated with those people that were interviewed. Delivered correctly, an IT maturity assessment will enable a company to understand its current position and create a plan to raise its maturity level and prepare for success in embracing the full power of cloud. Shifting to a truly agile and flexible business model can be challenging. Companies are often faced with immature IT processes that slow down or prohibit moving to the cloud, and may also introduce risk or increase costs. Self-assessment is a cost-effective first step which can help speed up the process of making a decision to transition to ‘as a Service’. But remember; it’s only a first step. When using an external provider, it’s important to ensure they understand your business and motivators for change. The assessment needs to be focused on outcomes. It’s all about fulfilling the potential – being clear on the business strategy and how cloud will enable the organisation. 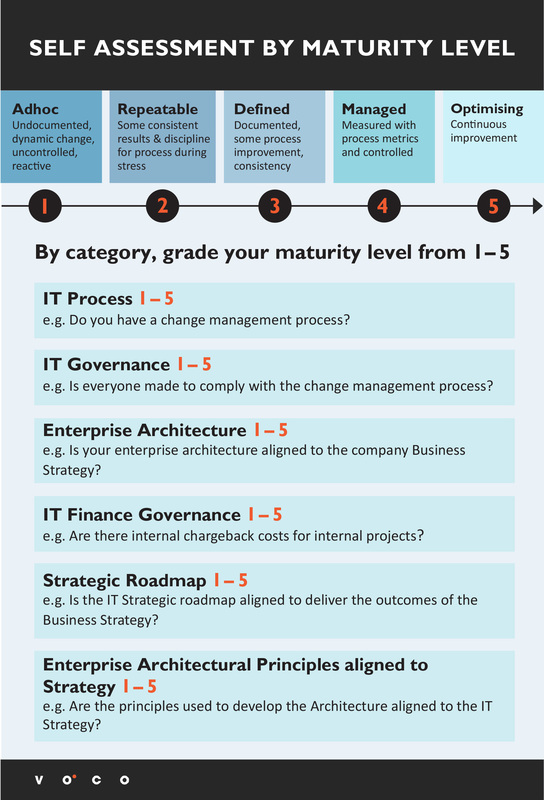 A good IT maturity assessment helps to formulate a roadmap. That roadmap then needs to be embraced by the business – and to put the customer at the heart of the IT service – to last the distance. To discuss the topic further, please get in touch with the author, Sean Muller, on 021 222 6187.